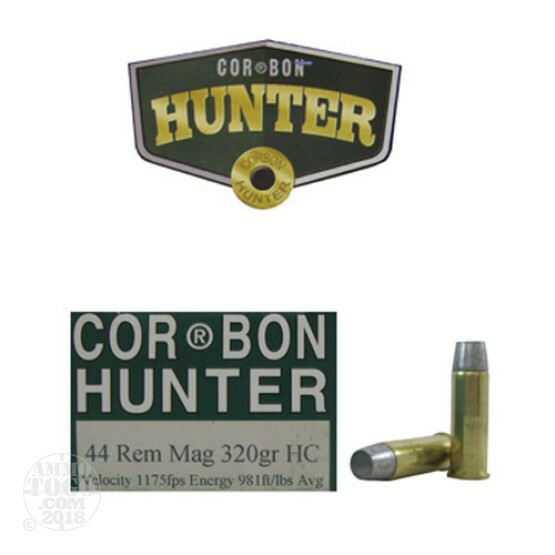 This is 44 Mag Corbon 320gr. Hard Cast Ammo. One look at this bullet and you know this is a load to be reckoned with. Nobody makes a bullet even close to this for power and penetration. The wide flat point, sharp crisp edges, and Hard Cast combine to produce devastating knockdown energy. Like all the Cor-Bon Hard Cast loads, no expansion is expected or needed. Bone crushing power will take on anything - anywhere.